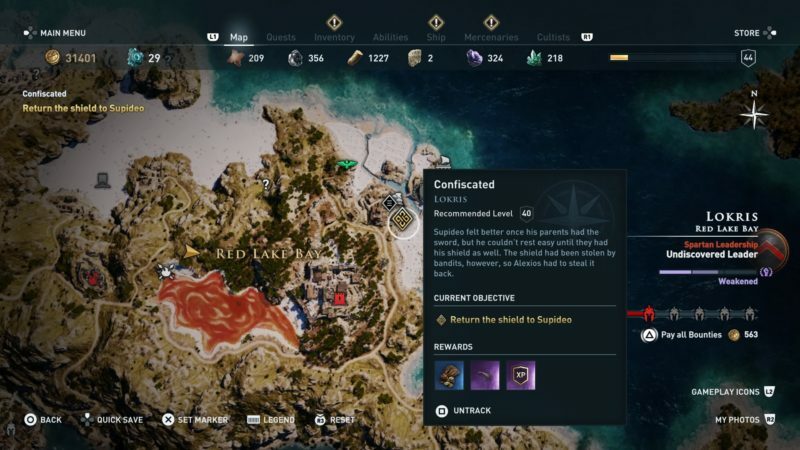 Confiscated is a side quest in Assassin’s Creed Odyssey that starts after Family Values. Your task is to help retrieve Supideo’s shield after you’re done with his sword earlier. 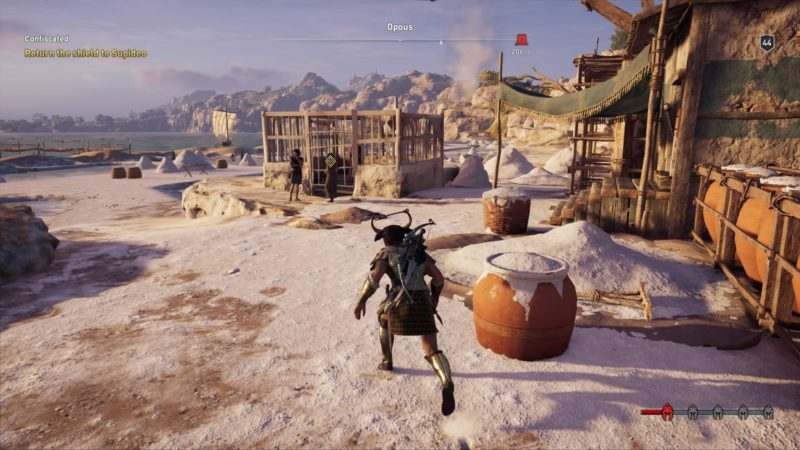 Here’s a brief walkthrough of Confiscated in AC Odyssey. 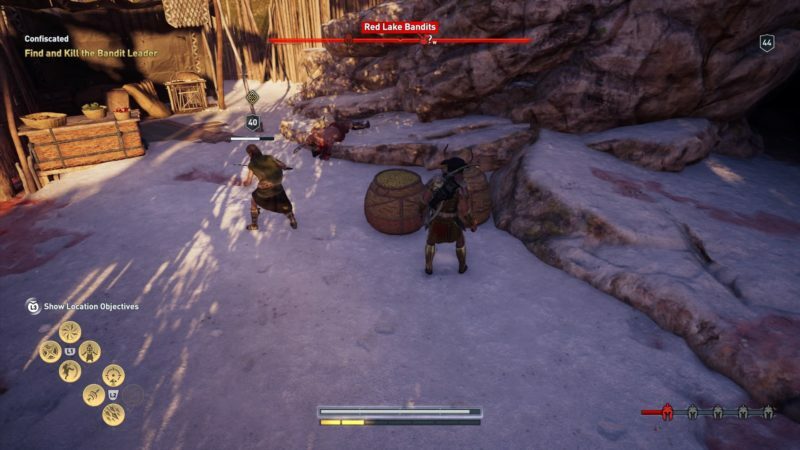 As Supideo’s shield was apparently taken by the bandit leader, you have to kill him to retrieve the shield. 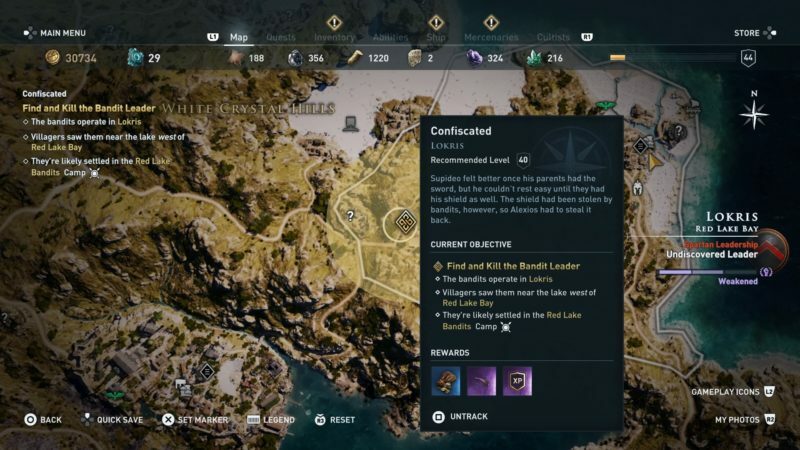 The exact location of the bandit camp is shown in the map below, marked as the quest symbol. They are located in the Red Lake Bandits Camp. 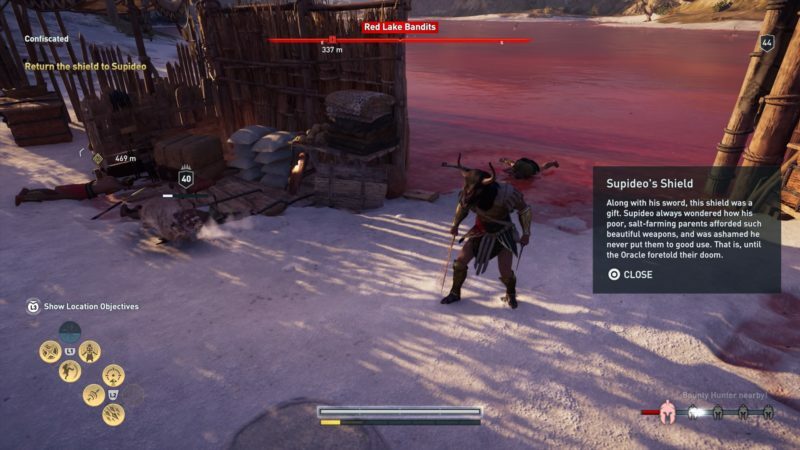 As you arrive, you’ll notice that the water in the lake is completely red. The camp is just beside the lake. You can kill all of the Red Lake bandits if you want to. 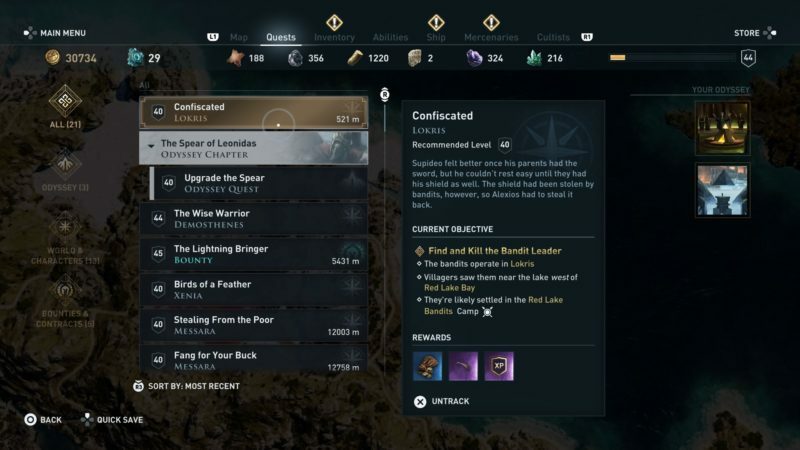 Most importantly, get rid of the leader and loot the shield. There are also other items to loot here. Once you’ve retrieved Supideo’s shield, return to him. Get back to where Supideo was in the cage. His location is shown in the map below. Get near the cage and the cutscene automatically loads again. 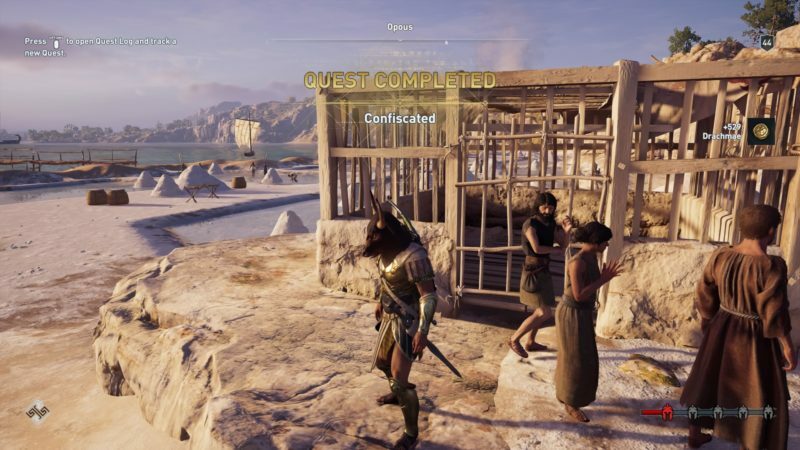 After the cutscene, the quest completes and he leaves the cage. 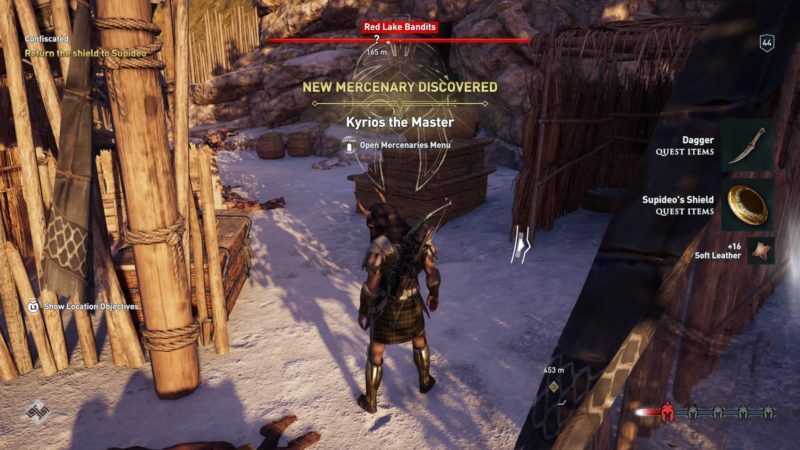 You will earn some drachmae as quest rewards.